History of Trading Diamonds The history of the diamond trade is long and rich. Diamonds have been cherished and traded for centuries. Learn how diamonds became so valued be traders. Diamonds are one of the world’s most sought-after natural resources. Used to signify wedding vows, fuel guerrilla revolutions and awe all in their presence, diamonds have been cherished and esteemed by mankind for centuries. It’s not surprising then to learn that diamonds have been competitively traded on the world market for centuries. How then did this most lucrative of business’s actually begin? 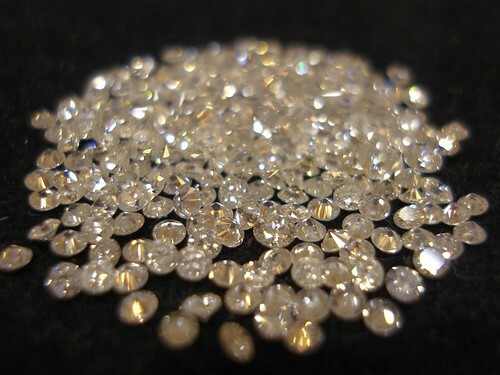 Most historians now believe organized trade of diamonds dates back about 1,000 years, to India, which possessed the entire world’s known supply until early in the eighteenth century. Traditionally, diamonds would be transported across Arabia and traded to Jewish merchants, who, in turn, resold the diamonds in major European cities of the time such as Frankfurt and Venice. As the amount of diamonds in circulation increased, these precious gems came to be used as collateral for loans and payment for high-value items. India’s diamond supply was largely exhausted by the early eighteenth century, however, moving the diamond trade to Brazil until 1725, and then later to Southern Africa in the early nineteenth century. Early diamond trading followed the same general course; with sellers inhabiting a given area until supplies ran out, causing miners and speculators to move on to greener pastures. All the while, the demand for and value of diamonds continually increased. The diamond market was never truly decentralized in the way a typical commodity market is (and in fact, the significant variations in diamond grade and quality mean that they are not, technically, a commodity.) Rather, the prominence of Jewish merchants in the sale and transportation of diamonds placed the market under control of an informal network of Jewish families that sprung up during the 1800’s. The numerous jewelers and diamond trading firms were typically linked by family relation, forming a bond so tight that for centuries, diamonds were almost entirely a Jewish business. 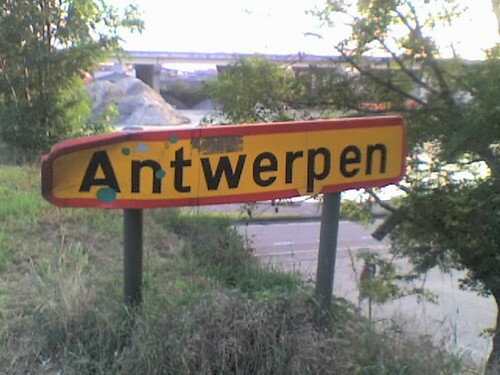 Presently, the city of Antwerp, Belgium is known as the ‘World’s Diamond Capital’, and the diamond trade is largely dominated by the city’s large Hasidic Jewish population — as it has been since around World War II. The diamond industry witnessed a marked change in the later part of the nineteenth century, when entrepreneur (and southern African politician) Cecil Rhodes started De Beers. Rhodes was the mastermind of what became a monopoly of diamond mining and sales. He first laid the groundwork for De Beers’ dominance during the southern African diamond rush of 1871, by renting out water pumps to the influx of miners in South Africa. Rather than simply harvesting the profits from this lucrative venture, Rhodes systematically plowed them into shrewd acquisitions of small mining operations in the area, consolidating them under De Beers Consolidated Mines in 1888 according to New York University. A short year later, Rhodes owned and controlled all mining operations in South Africa, placing him in firm command of the market. 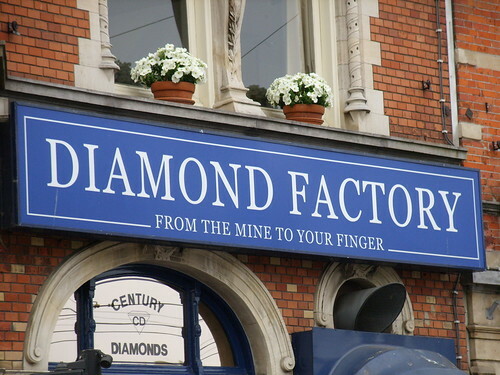 This enabled De Beers to cut a lucrative deal with London’s Diamond Syndicate obligating the latter to buy fixed quantities of diamonds at set prices, according to Edward Jay Epstein’s Rise and Fall of Diamonds . 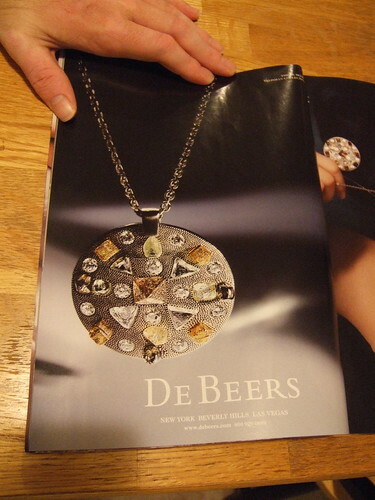 Prospering through several trade slumps and competitive threats, De Beers continued expanding its cartel under Rhodes’ leadership, culminating in its biggest competitor (Cullinan Mines) folding into De Beers control during World War 1. De Beers was estimated to have controlled a staggering 90% of the world’s diamond production by the time of Rhodes’ 1902 death. While De Beers only controls about 40%-50% of that market today, they still, in effect, control the prices of rough diamond paid by world consumers. The largest producer of diamonds today is the South African nation of Botswana, where De Beers harvests and markets diamonds as part of a joint venture with the government of that country. Operating under the name Debswana, the company was formed in 1969 and unearths diamonds from four mines: Orapa (opened in 1971), Letlhakane (opened in 1975), Jwaneng (opened in 1982), and Damtshaa (opened in 2002.) 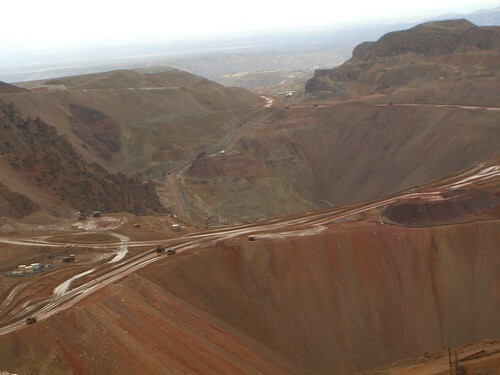 All mining activity takes place through the Debswana joint venture, as no private mining exists in the country. Some 30 million carrats, or 6,000 kg, are exported from Botswana each year, representing a quarter of the world’s total annual diamond production. Today’s diamond market is also divided into two main segments. One is the gemstone segment, encompassing diamond rings, necklaces, stones, and other precious jewelery. Roughly 80% of these diamonds are cut in Antwerp. The other major aspect of today’s diamond market is the industrial grade sub-industry — consisting of diamonds cut for heat conduction, electricity insulation, semiconductors, drill tips, saw blades, and similar uses. It has been estimated that 80% of mined diamonds, being unsuited for use as gemstones, eventually become used in industrial applications such as these, according to USGS’s “Industrial Diamonds Statistics & Information” report. The world’s largest diamond consumer is the United States, accounting for 35% of world diamond sales. Following the US is Hong Kong with 26%. Belgium clocks in at 15%, while Japan buys 6% of all diamonds and Israel 4%. It is worth noting, however, that the seemingly low percentages for Antwerp and Israel are misleading in that they fail to reflect diamonds that pass through those countries in worldwide trade. Today’s diamond market remains concentrated in the hands of a few major players, and looks to remain so for the foreseeable future. The diamond industry is not without its share of controversy, however. The most severe issue is that of ‘blood diamonds’. As the name suggests, blood diamonds are those harvested (often by forced labor) amongst conflict, and used to finance further conflict including, civil warring, and insurgencies. In most situations, violence enacted on those harvesting diamonds and surrounding civilian populations is particularly violent – as conflicting groups attack the civilian base of it’s opposition – this was especially the case during the Sierra Leone Civil War, during which this phenomenon first came to the attention of Western, diamond-importing countries. As such, the name is a derivation of the old phrase, “there’s blood on one’s hands”. Other nations in which blood diamonds are known to have been harvested include: Angola, Liberia, The Republic of the Congo, The Democratic Republic of the Congo, Côte d’Ivoire, and Zimbabwe. 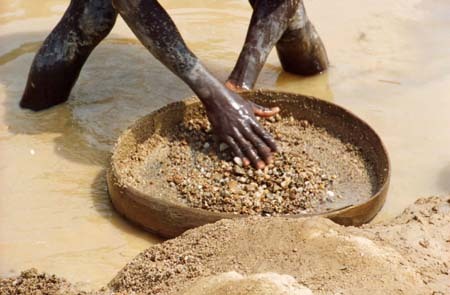 While legislation has been introduced in order to curb the distribution of blood diamonds, most notably with the Kimberly Process Certification Scheme (2003), these are self-governing and have had limited success.